Is There Fiber in Broccoli Stems? One broccoli stem has 3 to 4 grams of fiber. Whether you enjoy it steamed, sauteed or mixed in your morning omelet, you can't beat the health benefits of broccoli. As a nutrient-rich vegetable, broccoli is a good source of vitamin A, vitamin C, iron, potassium and fiber. Not just the florets, but the stem too. If you're looking for a delicious way to boost your daily fiber intake, be sure to include the stem of the broccoli along with its bright green florets. 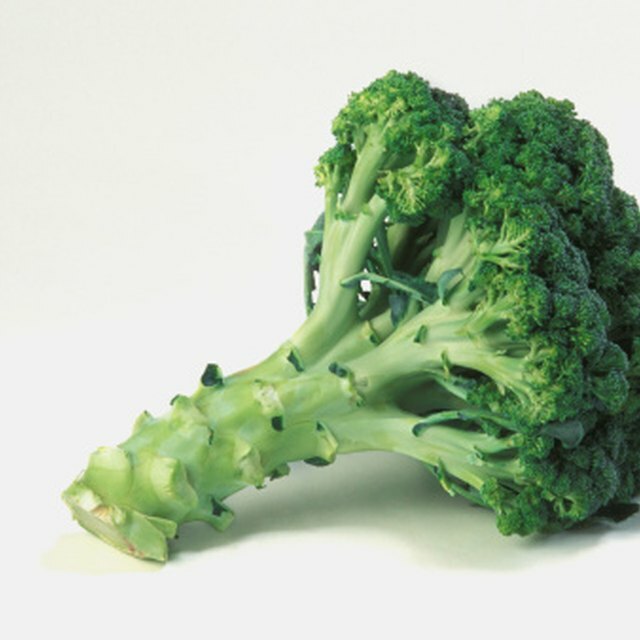 The broccoli stem, also known as the stalk, is low in calories and as nutrient-rich as its florets. In fact, one stem contains more vitamin C than a medium orange. 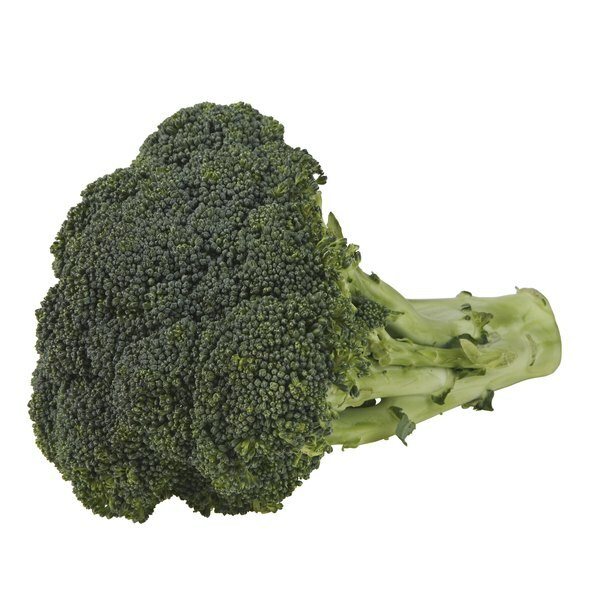 One broccoli stem contains 32 calories, 3.4 grams of protein, 6 grams of carbohydrates, 55 milligrams of calcium, 1 milligram of iron, 370 milligrams of potassium, 106 milligrams of vitamin C and 456 International Units of vitamin A. In addition to being a good source of a number of essential vitamins and minerals, the broccoli stem is also a good source of fiber, with 3 to 4 grams of fiber in one stem. You need about 14 grams of fiber for every 1,000 calories you eat. But in general, adult women need about 25 grams of fiber a day, and adult men require 38 grams of fiber a day. Including the broccoli stem can boost your daily fiber intake, making it easier for you to reach your daily needs. The fiber in the broccoli stem offers a number of health benefits. According to the American Dietetic Association, people who include more fiber in their diet tend to have an easier time maintaining a healthy weight. Fiber in foods slows digestion, improving satiety, helping you better manage your hunger. Fiber also helps prevent constipation by adding bulk to your stool and softening it. Including more fiber in your diet from foods like the broccoli stem may also reduce your risk of chronic diseases such as heart disease and diabetes. The broccoli stem tends to be tougher than the florets, and you may not know how to prepare them. But the stems can be cooked the same way you cook your florets. To maximize your nutritional intake, do not peal the stem, but rather cut it into bite-size pieces or julienne it. Steaming the stems softens them, making them easier to chew. You can also stir fry the stems in vegetable oil, and add some of your favorite seasonings such as lemon or vinegar. Broccoli stems also make a nice addition to soups. American Dietetic Association: What Are Nutrient-Rich Foods? Can I Eat Broccoli's Stem?